When it comes to fan-game design, DJ Coco is a person of many talents. In the past, I’ve enjoyed Coco’s Super Mario Country and Paper Mario 3D Land, so when I discovered that they took a crack at making their own Mega Man title, I was very excited. What also made this latest offering quite appealing was that rather than going for an NES style (which still seems to be all the rage these days), Coco went with the feel of Mega Man IV and V on the Game Boy. For a game that Coco admits was built with a two month time frame in mind, I actually think Mega Man Sunrise has a lot to offer. The story is well thought-out and actually fits with the styling of the five GB Mega Man titles, providing a fun little narrative tale and a brand-new Mega Man Killer named Trance (who is a woman, no less!). The robot masters are pretty unique and interesting, though I wish Coco had done a little research while making the game (Scorch Man and Sound Man are names used in two other fan projects). Because Mega Man Sunrise goes for the whole Game Boy aesthetic, although it scales well to modern display resolutions, it keeps the general “zoomed in” aspect ratio you’d have seen on a GB game. This means that Mega Man feels “big” and at times (especially in boss fights) things will feel a bit cramped, but don’t think of this as a design flaw – it’s actually rather accurate in terms of design. I do agree with some of the people who have said that they wished the stages had some more unique “gimmicks” to them. Most of the gimmicks are borrowed from previous official entries, but thankfully they’re done in a smart way that fits with the stage motifs. Also, Coco does do many unique things in terms of design along the way, such as having Circuit Man’s level, although electrically-themed, have ice and snow in it. 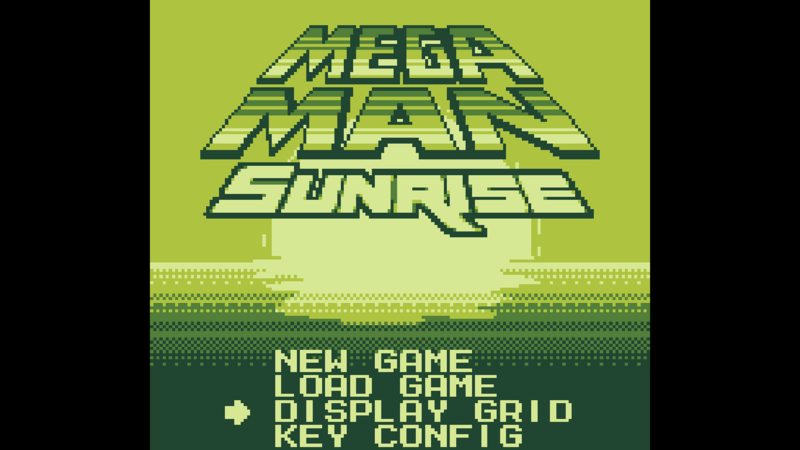 Anyway, Mega Man Sunrise is a free offering, so if you’re a fan of classic side-scrolling titles like this, you really ought to go ahead and give it a whirl – it’s available on both PC and Android!